I often wonder how worlds fair souvenirs get to Seattle. This rare treasure from the 1939 New York Worlds Fair was over in the Ballard neighborhood. I had gone to two other sales and was weaving my way home. There was an estate sale sign so I whipped around the corner to this unplanned stop. On the big front porch they had the cashier area and some valuables in a glass case. 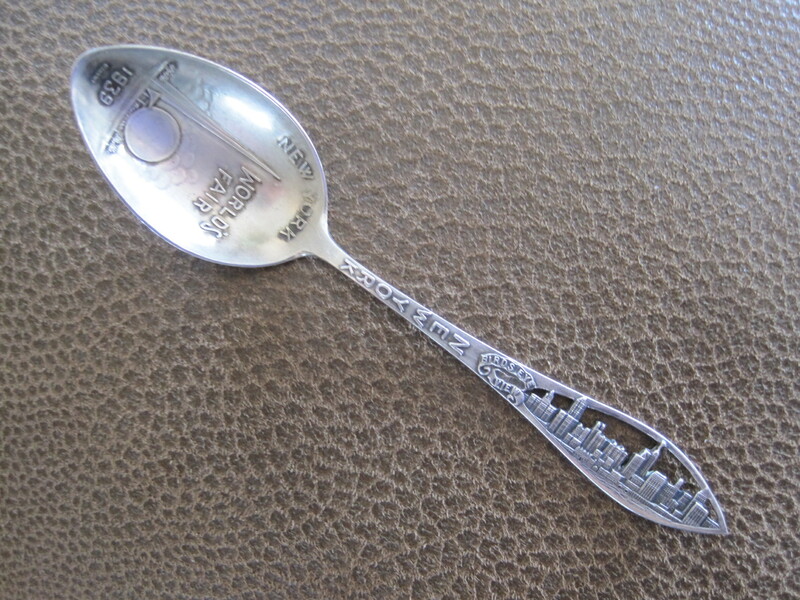 To my glorious surprise this spoon was there. I got my hands on it and never let go until I put it into my museum on Monday. Serendipity had brought me this find. In my research I cannot find an exact copy of it on the internet. 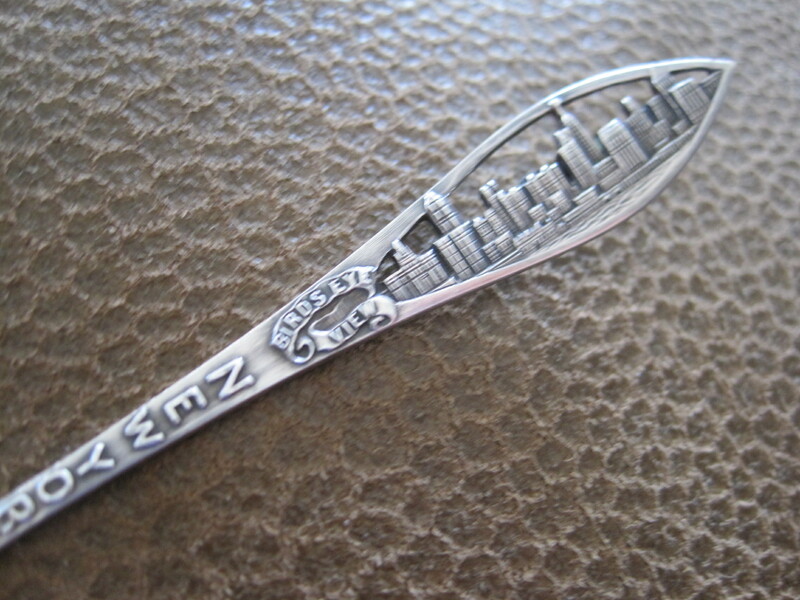 It is unusual in that it has a cut out of the New York Skyline. They call it a bird’s eye view. 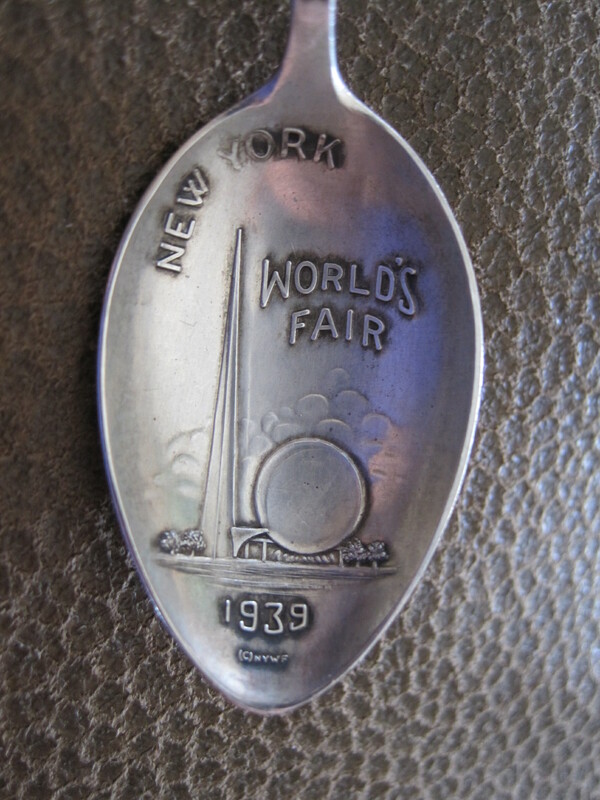 The bowl has the Trylon and Perisphere plus New York Worlds Fair with the year 1939. Look closely and you will see the copyright symbol and NYWF. The back has “Sterling” stamped on the back and some makers marks. How did this get to Seattle and over 75 years later came to me? The places it has been and saved all these years is a mystery. Someone treasured it a lot and now it is part of my Worlds Fair Treasure Horde!